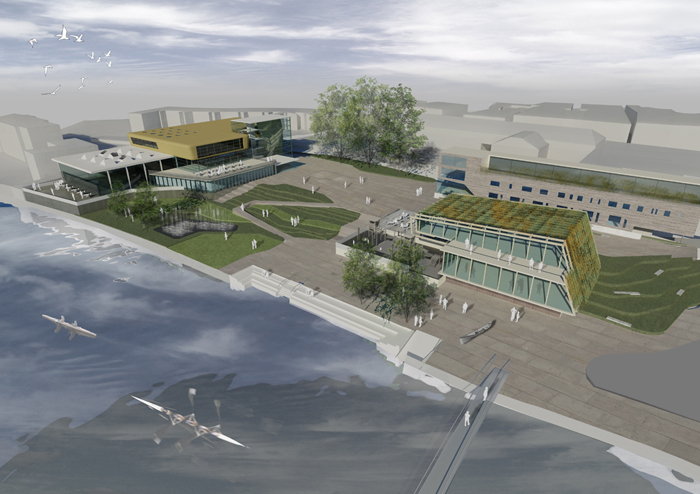 Masterplan commissioned by Riverside Vision, a local community organisation, that advocates a staged development of the controversial pool site. 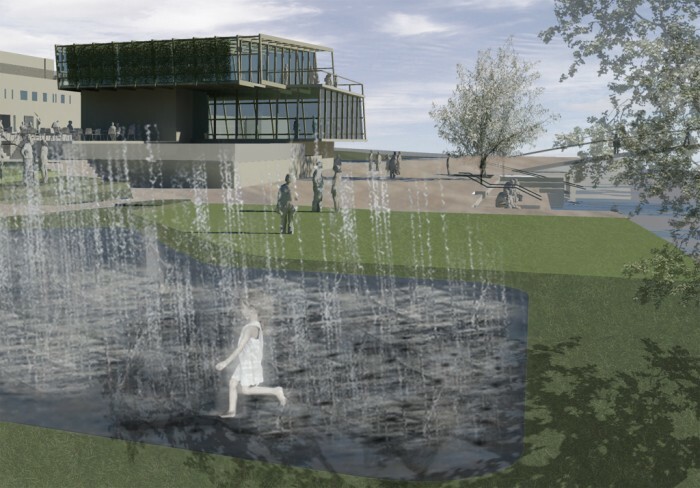 The plan comprises the creation of a town square and open space, undercover parking and revised traffic circulation funded by a new housing development. 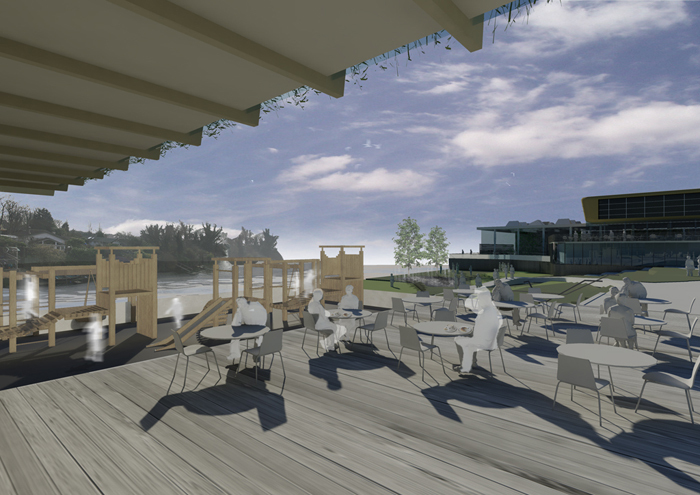 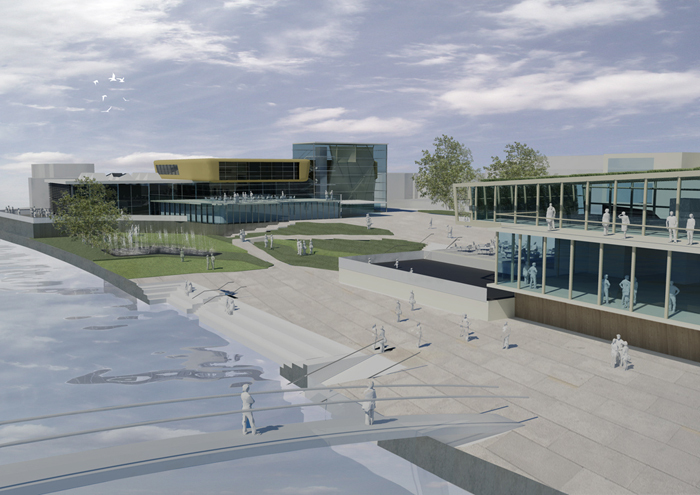 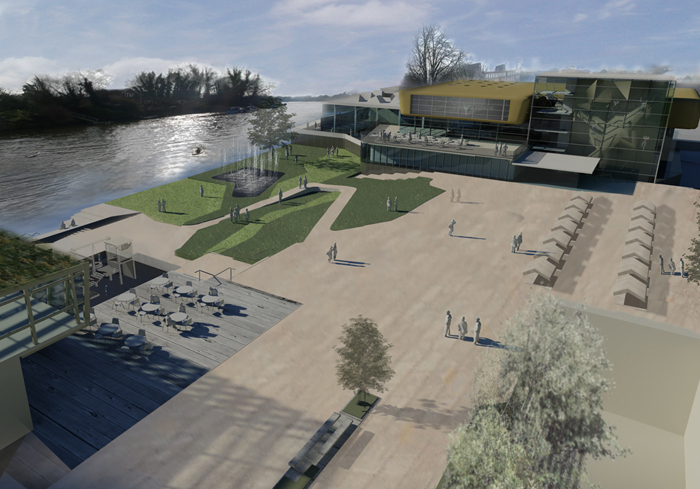 Further phases envisage a river centre and a leisure centre.